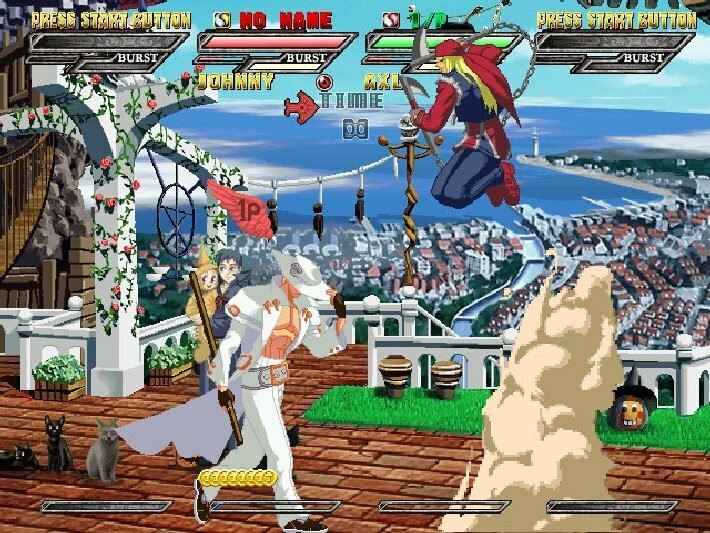 Welcome back to the Guilty Gear universe! 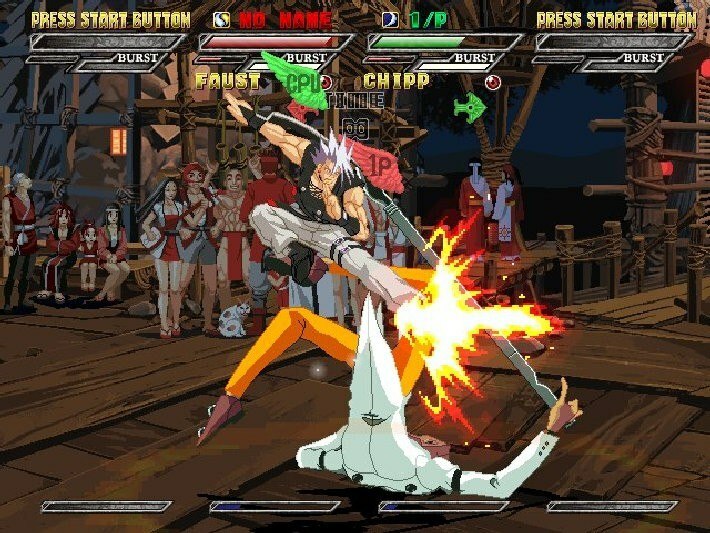 Guilty Gear Isuka is a 2d fighting game featuring 27 unique characters, each with their own skillset of special moves and abilities. 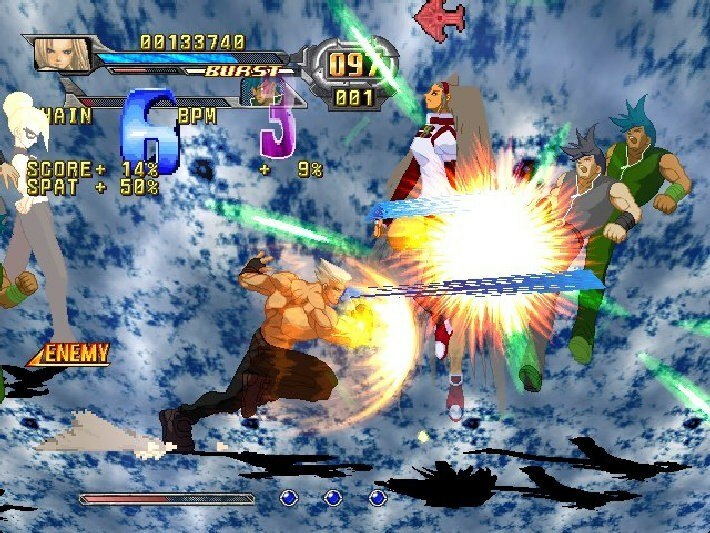 Along with the cornucopia of playable fighters, Guilty Gear Isuka boasts several modes of play. In Robo Ky Factory, create and customize your own fighter and customize him with moves from other fighters within the game. In GG Boost mode, you’ll go on a side-scrolling adventure, defeat a horde of enemies, and avoid the deadly traps that litter the level. 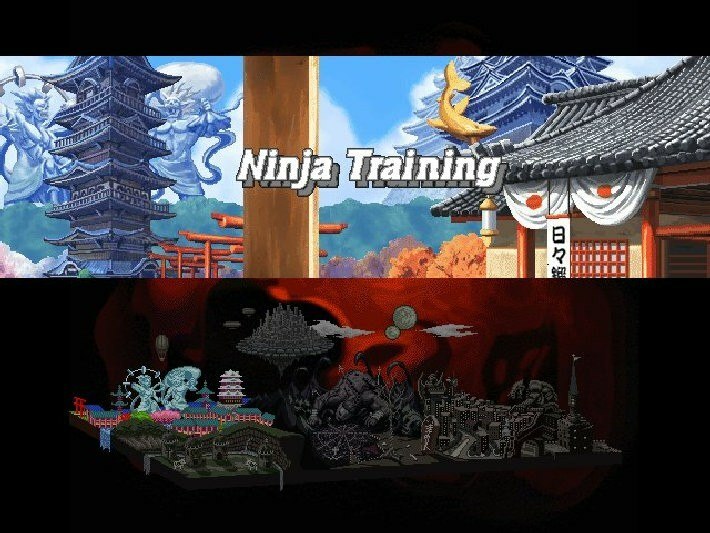 Every fighter has access to a complete set of Universal and Instant Kill moves. 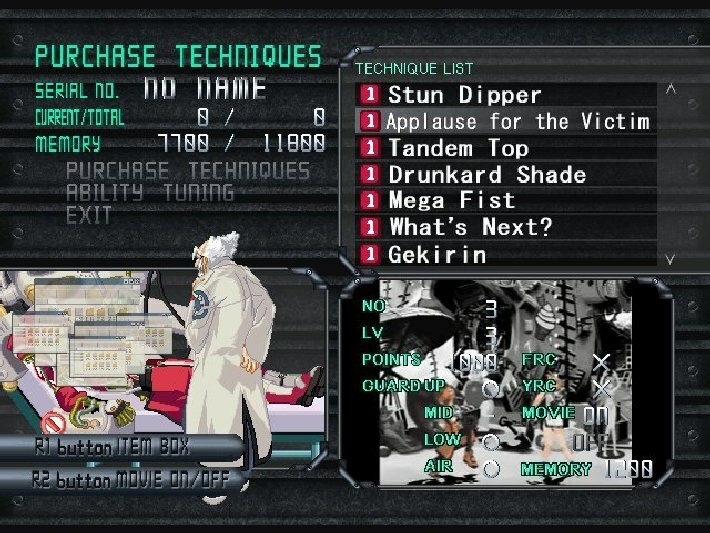 Gatling Combos allow you to string together combos of Normal Moves for a rapid-fire attack. Make use of the power of the Instant Kills to quickly take your opponent out of the competition. 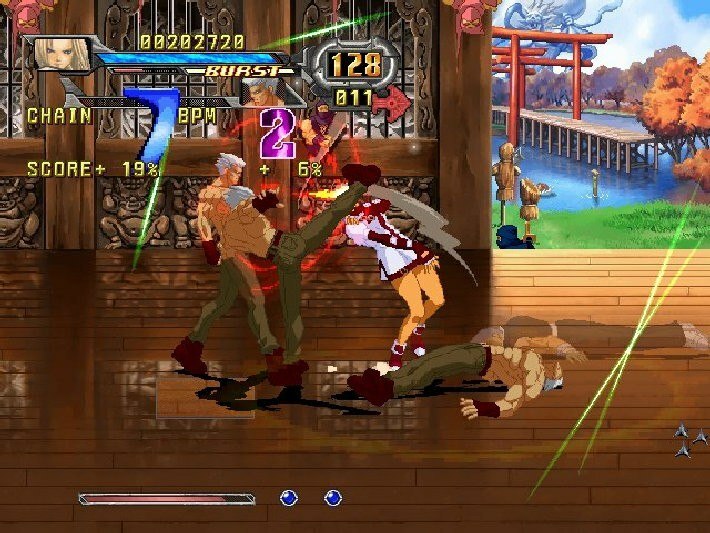 Guilty Gear Isuka will leave you breathless as you fight your way to the winner’s circle. Introducing the Robo-Ky Factory where you can customize your Robo-Ky with new and interesting moves! Boost Mode pits you against waves upon waves of enemies and offers unique stages filled with traps! Four unlockable characters such as: Leopaldon, Zako-Dan, Kakusei Sol, and Kakusei Ky.
Macbook (early 2009), Macbook Pro (mid 2007), IMac (early 2009), MacMini (early 2009), Mac Pro (early 2009), MacBook Air (late 2008). NVIDIA or ATI graphics card required.